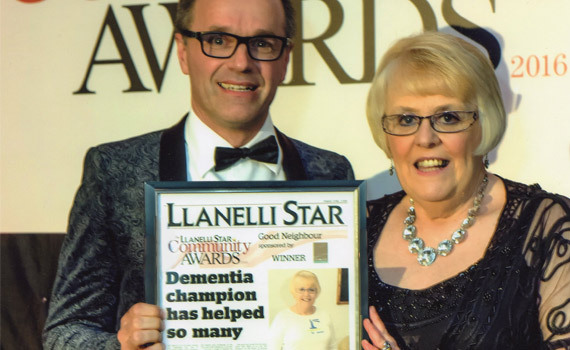 Jan received the Llanelli Star Award under the category of COMMUNITY CHAMPION. The event took place at Stradey Park Hotel (black tie event). I felt so proud and humbled to have won. 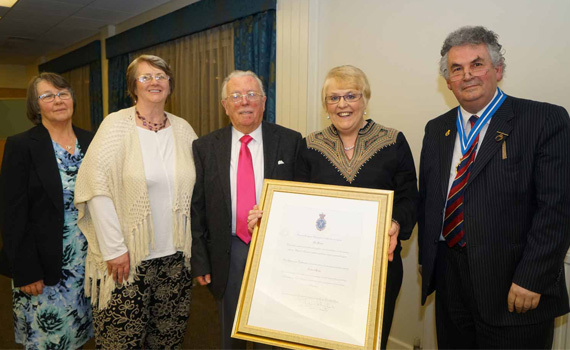 Ty-Golau has been given an Award from the High Sheriff of Dyfed in recognition for the work being carried out within the community. Janet Lewis was again honoured with another award - This time, the Rotary / Community Champion of Change Award. 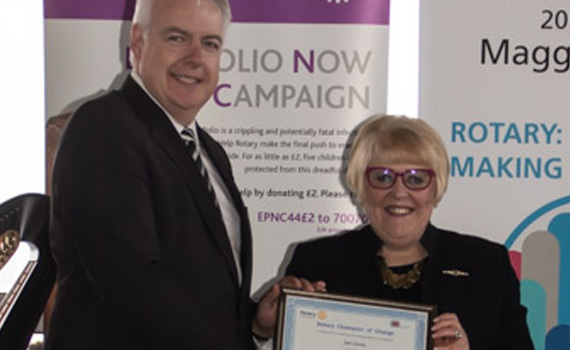 Presenting us with the award was the First Minister of Wales Cllr Caerwyn Jones. 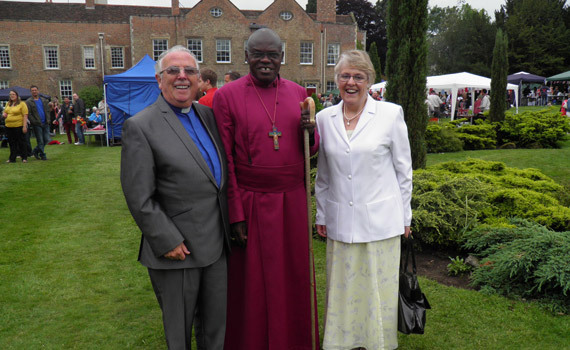 Jan and Bryan were invited the attend the garden party of the Archbishop of York (Archbishop John Sentamu) at Bishopthorpe Palace for their work at Ty-Golau. 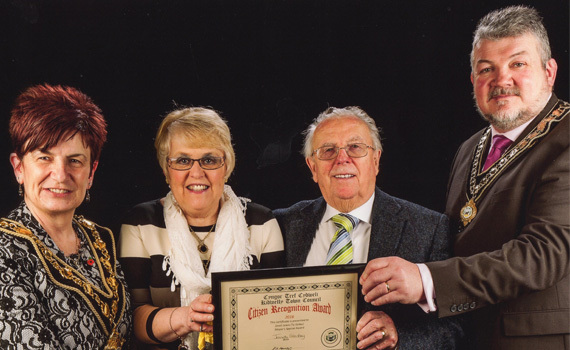 Janet Lewis again was receiving recognition award from Kidwelly Town Council. 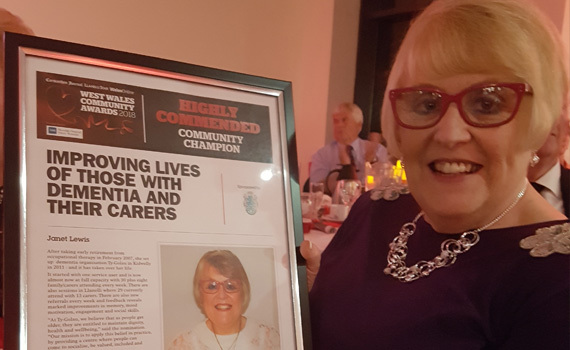 Janet Lewis receiving award ‘Highly Commended Community Champion Award’ at a dinner in Parc-y-Scarlets, Lanelli on 19th May 2018. Ty-Golau staff were very proud that Jan and her husband Brian were invited to attend the Royal Garden Party at Buckingham Palace. 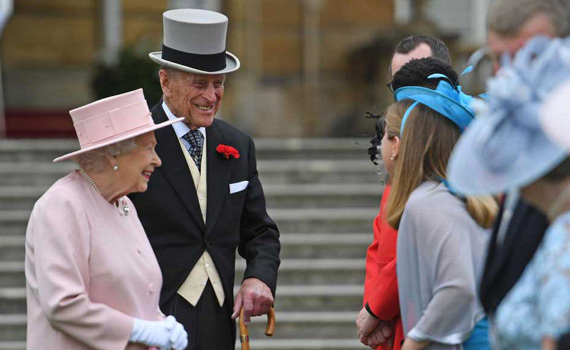 It was an amazing experience and they spoke to many members of the Royal family as they were leaving the Palace. Ty-Golau volunteers are very proud that Janet has been recognised in this way and it was such a shame that all of them could not attend.